Powered by 4- and 6-cylinder engines, the Chevrolet Malibu features a handsome and modern exterior, a spacious and attractive interior, a smooth ride, and well-controlled handling. 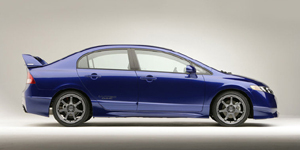 Available in several bodystyles, the Honda Civic comes powered by 4-cyl. engines with optional Hybrid support and provides excellent reliability, practicality, fuel economy, and sporty handling. Powered by a choice of six- and eight-cylinder engines, the Lexus GS offers refined engineering, flawless handling, and a comfortable ride. 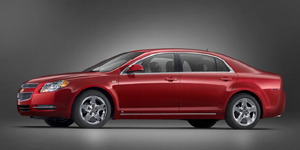 A Hybrid version and all-wheel-drive are available. Powered by a standard 2.5-liter 4-cyl. 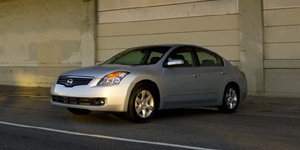 or an optional V6, the Nissan Altima is one of the sportiest entries in its class. 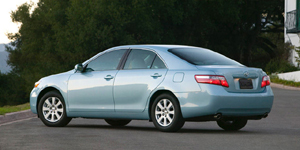 A Hybrid version with Toyota-sourced components is available. 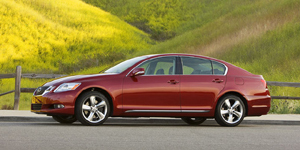 Available with four- and six-cylinder engines, America's best-selling sedan hosts five passengers in comfort and safety. 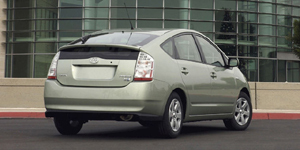 A Hybrid version improves mileage considerably.